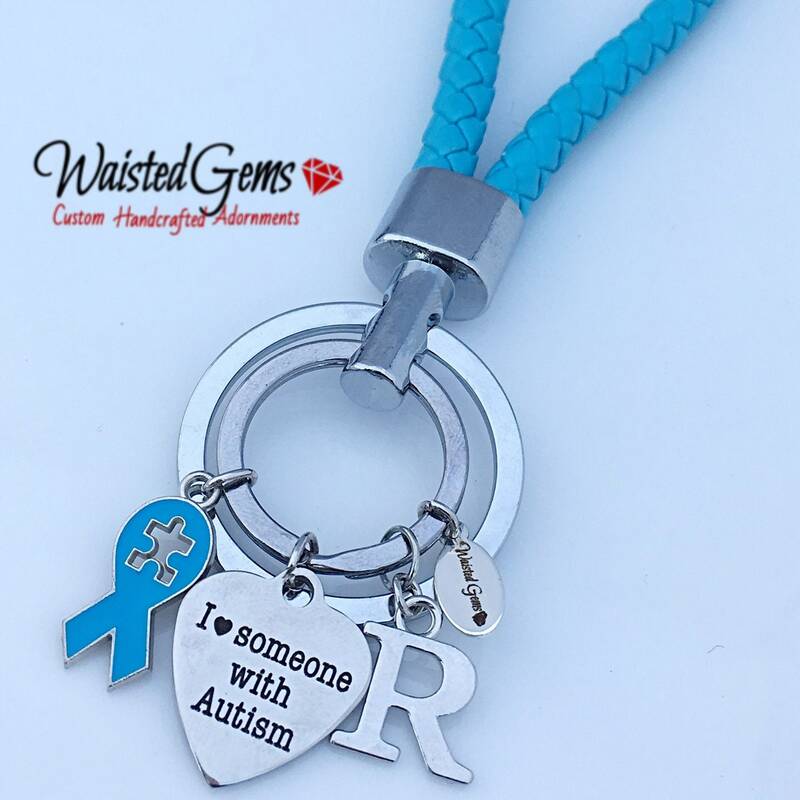 I Love someone with Autism Custom Laser Engraved Stainless Steel Charm is crafted with a stainless steel charm, choice of initial and a red and black awareness ribbon attached to 5.5-inch braided Pu Leather keychain. Show your support! 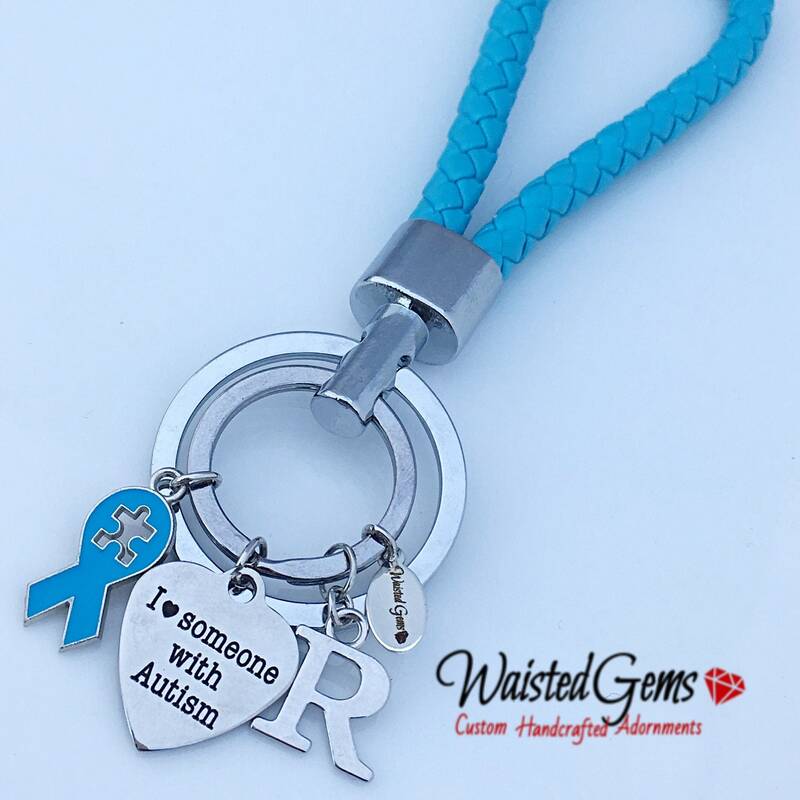 Make it known that you support the cause or give it as a gift. Either way, it is a great gift Idea or Keychain to own.